The game will see new manager Louis van Gaal taking charge of his first game in the English Premier League, but the Dutchman will be without several key players. Holland forward Robin van Persie is expected to miss out as he continues to work on fitness after missing the preseason preparations. Missing Saturday’s game as well are midfielders Michael Carrick (ankle) and Antonio Valencia (leg), defenders Jonny Evans, Luke Shaw (hamstring) and Rafael (groin), as well as striker Danny Welbeck (knee). Van Gaal, with all the injuries, is now short in defense, so youngsters Tyler Blackett and Reece James are now in line to play their first competitive game in the senior setup. 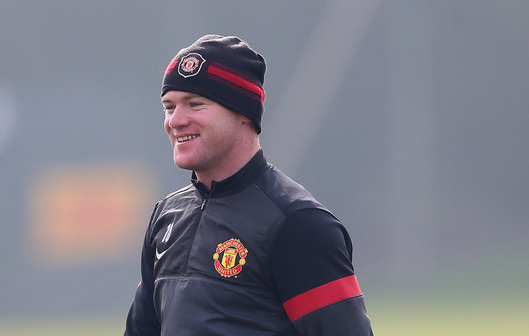 Wayne Rooney will lead the side out for the first time after officially being named club captain. Meanwhile, for Swansea City, Marvin Emnes, Leon Britton and Jay Fulton, who are all out with knee problems, will miss the game. However, wingers Nathan Dyer and Wayne Routledge were included in the squad after they both missed the team’s final pre-season game at home to Villarreal last week. Manchester United (from): De Gea, Lindegaard, Amos, Rafael, Smalling, Jones, M. Keane, Blackett, James, Fletcher, Cleverley, Herrera, Fellaini, Young, Mata, Nani, Kagawa, Zaha, Januzaj, Rooney, Hernandez, Powell, Lingard, W. Keane. Swansea (from): Fabianski, Rangel, Taylor, Williams, Bartley, Ki, Shelvey, Sigurdsson, Montero, Gomis, Bony, Tremmel, Tiendalli, Amat, Dyer, Routledge, Sheehan, King, Kingsley.